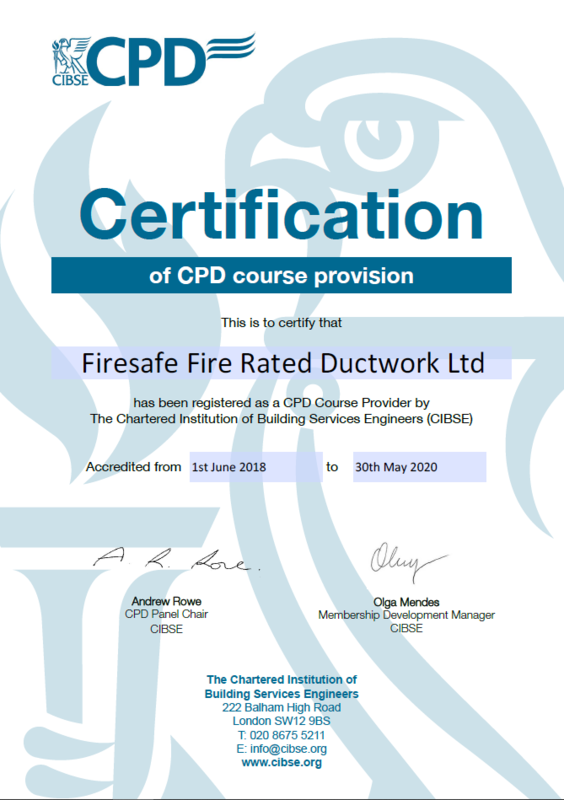 Caswell FRD, as licenced manufacturing partners of Firesafe Fire Rated Ductwork Limited (FFRDL), are pleased to offer access to a CIBSE approved CPD on the life-safety-critical subject of Fire Resisting Ductwork. CIBSE (Chartered Institution of Building Services Engineers) are one of the construction industry’s foremost organisations – with an authoritative ‘voice’ which is respected around the globe – so this recent endorsement is highly valued. “It is a very good presentation with the right level of technical content. The subject topic will be of interest to a number of our members and I am happy to recommend acceptance. 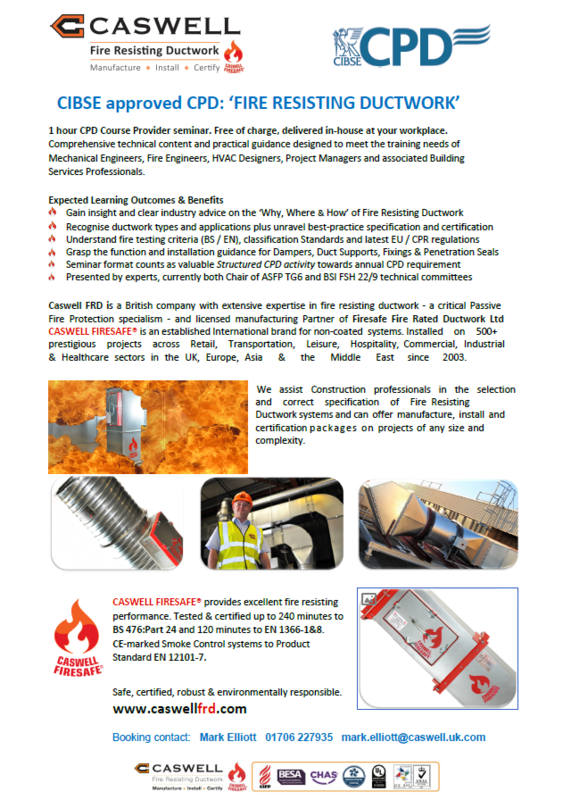 There is no charge for this insightful CPD in which experts from the approved provider (FFRDL) will guide and clearly explain (some would say de-mystify) ‘all things Fire Resisting Ductwork’.